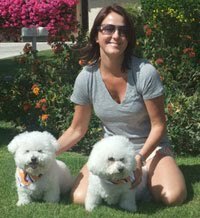 The Love on a Leash Blog: Santa Paws is Coming to Town! 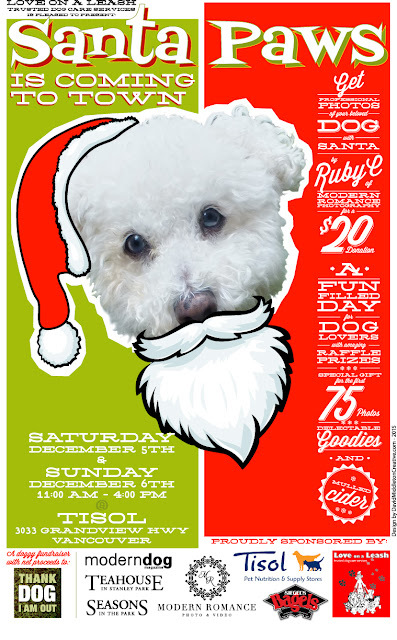 Love on a Leash Trusted Dog Care is pleased to host a dog-friendly fundraiser with net proceeds donated to Thank Dog I Am Out, Saturday & Sunday, Dec 5th and 6th from 11 a.m. until 4 p.m. at Tisol on Grandview Highway. Renowned pet photographer, RubyC, of Modern Romance Photography will be on hand to capture professional portraits of beloved pets with Santa Claus himself, amid a winter wonderland backdrop, complete with festive holiday décor and a pooch friendly Santa on his throne. 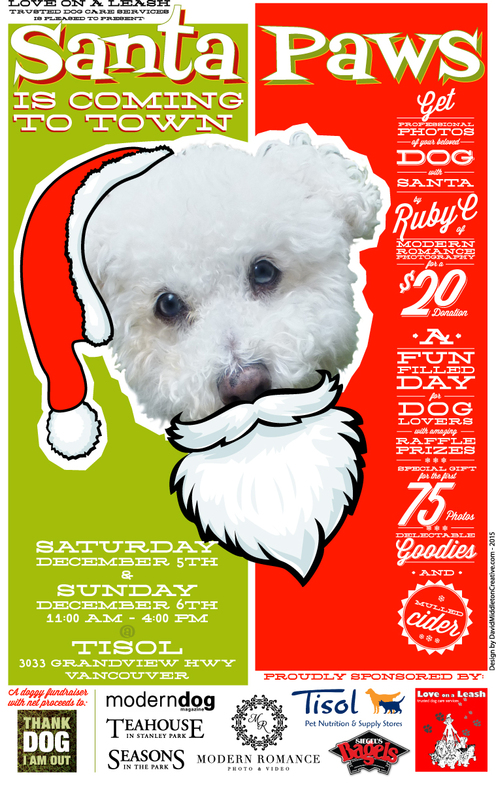 The two days will feature delectable baked goods and mulled cider for the humans and lots of doggy treats and socialization for the pooches while raising funds & awareness for this amazing local animal rescue organization. Special gift bags to the first 75 photos each day, a raffle with great prizes to help raise funds, and lots of “mixing and mingling” to get you into the holiday spirit. $20. Thanks for Visiting Santa Paws!